Meet The Jeweller returns! Today we're thrilled to introduce you to Sam Stirrat, a jeweller (and Chartered Accountant too!) that has been a customer of Kernowcraft for over 17 years - but what is he up to now? 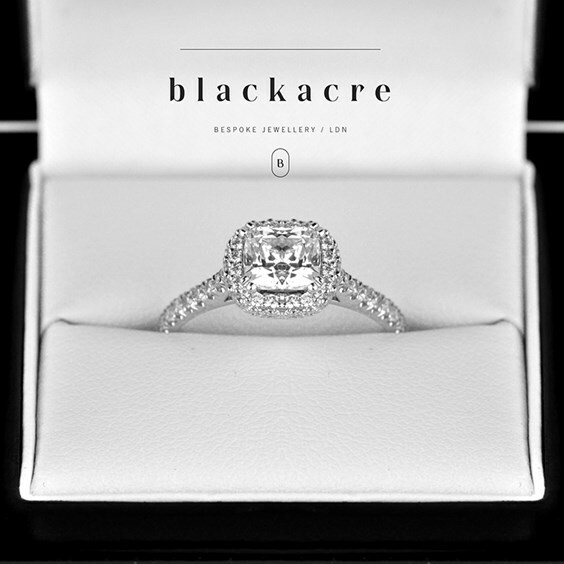 Sam has recently launched Blackacre, offering stunning bespoke engagement, wedding and eternity jewellery. 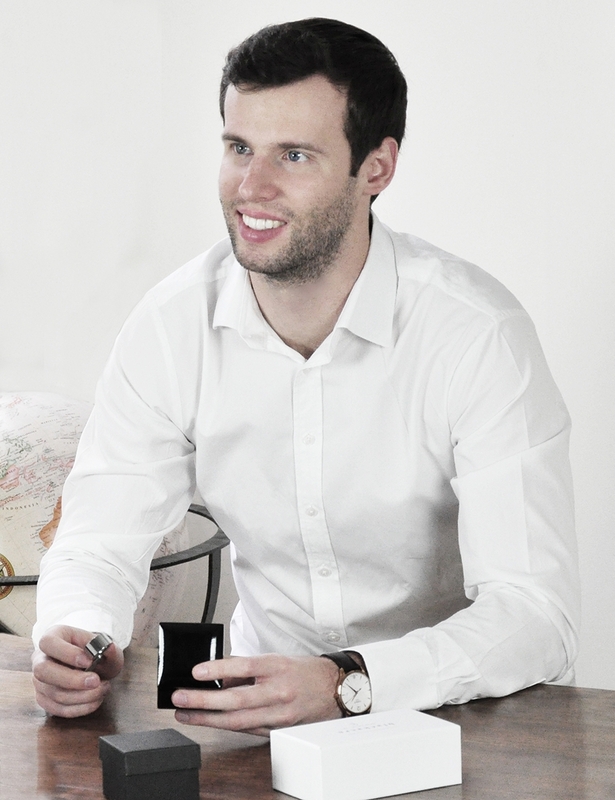 We chat about how his jewellery making journey started, tips on starting a jewellery business, the challenges along the way and top Kernowcraft recommendations! Hi, Sam - you’ve been a customer of ours since the age of 10! How did your love for jewellery making begin? Yes, it feels like a long time ago now! It actually began with gemstones. I developed a hobby from a very early age of collecting gemstones; I think because of their beautiful colours and precious nature. In one summer holiday my mum took me to an Art in Action at Waterperry House, near Oxford where all different types of artists were exhibiting their work. Having tried a couple of pottery classes, we came across a jewellery-making class and I very reluctantly took part after the suggestion was made I could use my gemstones to sell jewellery for extra pocket money. After this, I remember we took the tutor’s contact details and my mum arranged for me to have another class with the tutor. After that one lesson I learnt how to make my first pieces of jewellery and remember placing my first order with Kernowcraft aged 10, for 3 sets of pliers and some copper wire! So now you are Managing Director of Blackacre, how did you get to there from copper wire jewellery? I guess as my hobby of jewellery-making evolved the pieces I was making got bigger and better. Being entirely self-taught, it got to a stage where customers were asking for pieces that needed an expert, so I started to work with professional jewellers. I was also once told that if I ever wanted to run my own business I needed to understand accounting, so prior to Blackacre, I trained as a professional accountant whilst continuing my jewellery as a hobby. It’s a struggle explaining to people I can do both! What was the inspiration behind the new brand and focusing on luxury jewellery? The inspiration comes from a constant desire to deliver a personal service. This was the case when I was a teenager and remains the same now. Through providing a personal service you can always be confident that the customer receives exactly what they want, which gives huge satisfaction. Then on to the luxury, who doesn’t like luxury! 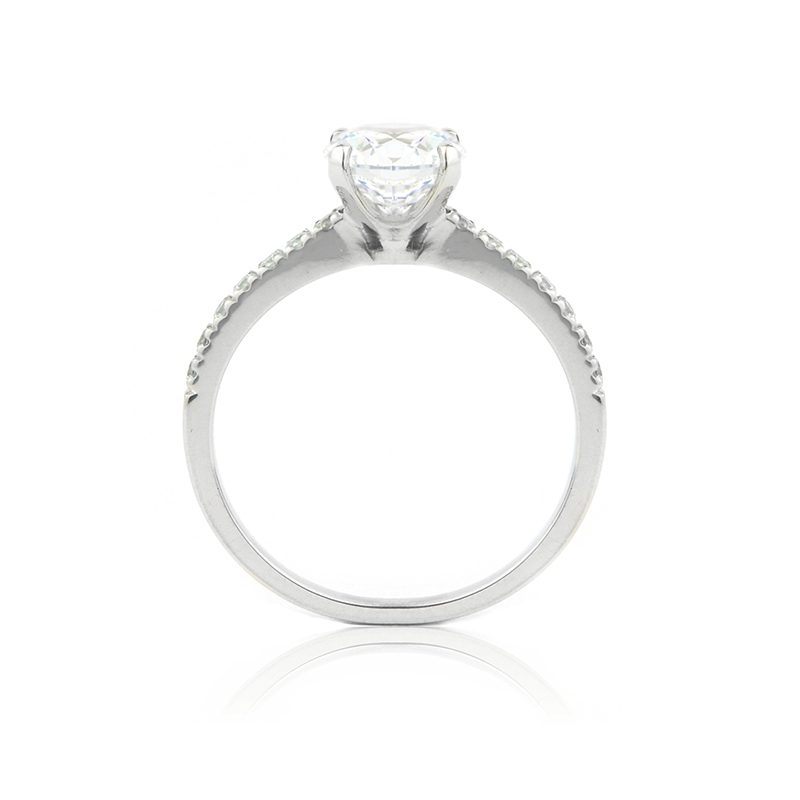 Well firstly, the focus on luxury jewellery allows us to make stunning rings which is what we love! Secondly we felt that no luxury brands were offering an experience-rich and authentic service, which we believe the next generation of ring buyers desires. Choosing a brand name can be difficult! What is the meaning behind the name Blackacre? This is a simple one; it is the name of the location where our first customer proposal took place. How would you describe Blackacre in 3 words? "From a personal point of view, the reason Kernowcraft is dear to me is for the friendly and helpful customer service they provided me with in my early jewellery-making days!" "My parents always told me that the best restaurants are the ones with short menus, because they do a small number of things very well..."
What challenges have you faced within your jewellery making journey? Oh wow, I am not sure you will have enough space for them all. Anyone that has taught themselves to make jewellery will feel my pain on this one - a lot of very expensive mistakes! The worst of these was the occasion where I dropped a diamond between the floorboards. But countless other occasions of false solders, cracked gemstones, and even a small fire; you name it, it’s happened. Thankfully, our head jeweller now takes care of all this, along with our specialist stone setters! Well, our workshop is based in Hatton Garden and has a team that includes specialists, from computer designers to stone setters and polishers (In my eyes they are the best in the UK, but I am biased!). All our jewellery is made in the UK, without fail, and we are really proud of this. I firmly believe that any good team needs a common passion or goal, which in our case is to produce the highest quality, most beautiful jewellery possible. In terms of a personal service, we expect the same service of our suppliers as we aim to deliver to our customers and place a huge value on punctuality and loyalty. From a personal point of view, the reason Kernowcraft is dear to me is for the friendly and helpful customer service they provided me with in my early jewellery-making days! 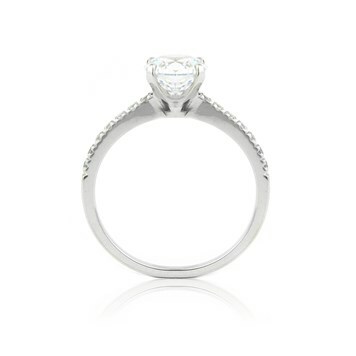 We love your eternity rings, especially using gemstones such as sapphire. 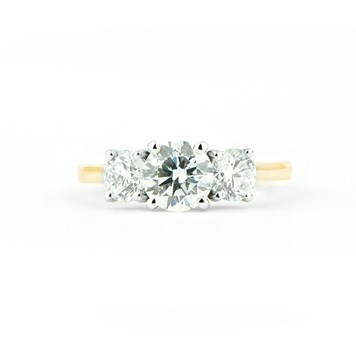 What do you think makes a special eternity ring and why? I guess for us every ring is different and it is largely the story behind the ring that makes it special. We find most of our customers that purchase an eternity ring are celebrating something special whether it’s a lifetime achievement, a relationship milestone or a special friendship. So I guess that is what makes them special. That said…. 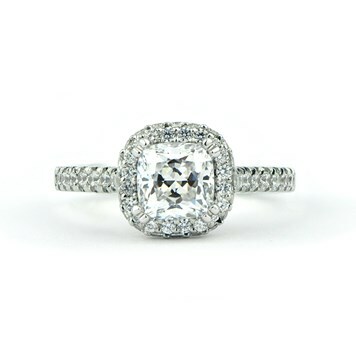 I love diamonds and gemstones and in simple terms, who doesn’t love something that sparkles!! You must hear a lot of romantic stories! How does it feel to be part of someone’s story, such as an engagement? For me personally, it is one of the highlights. It is always incredibly flattering when someone wants us to help them and become part of their story. I’ll have to keep the stories secret though! 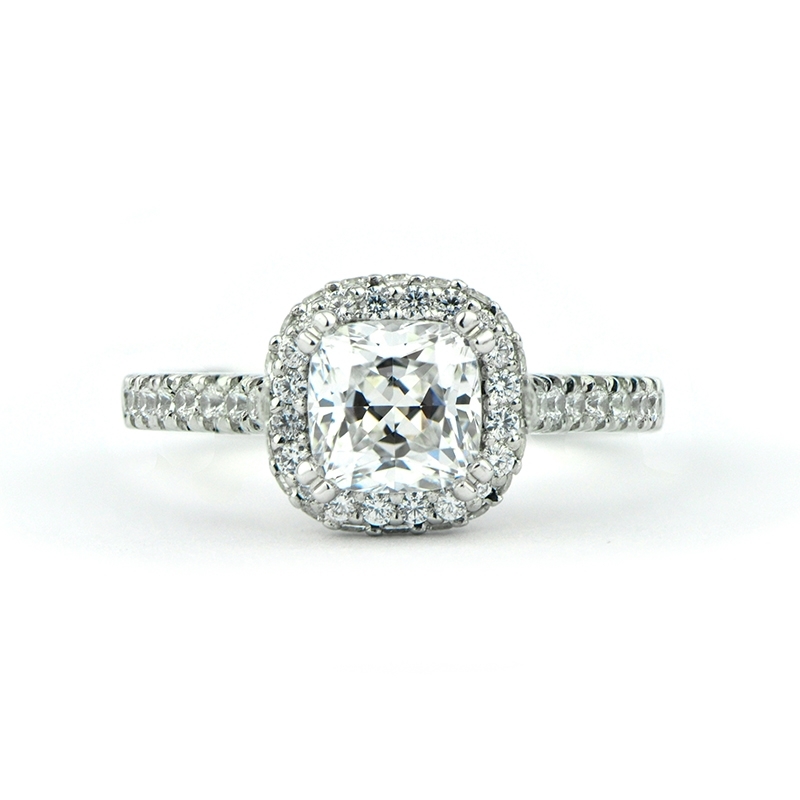 What advice would you give to someone searching for the perfect engagement ring? Give our team at Blackacre a call! The proper answer is that the two single most important things to know from the start are to have a clearly defined budget (which most people normally exceed by about 20%) and to have a clear idea of at least 2-3 designs that you like. 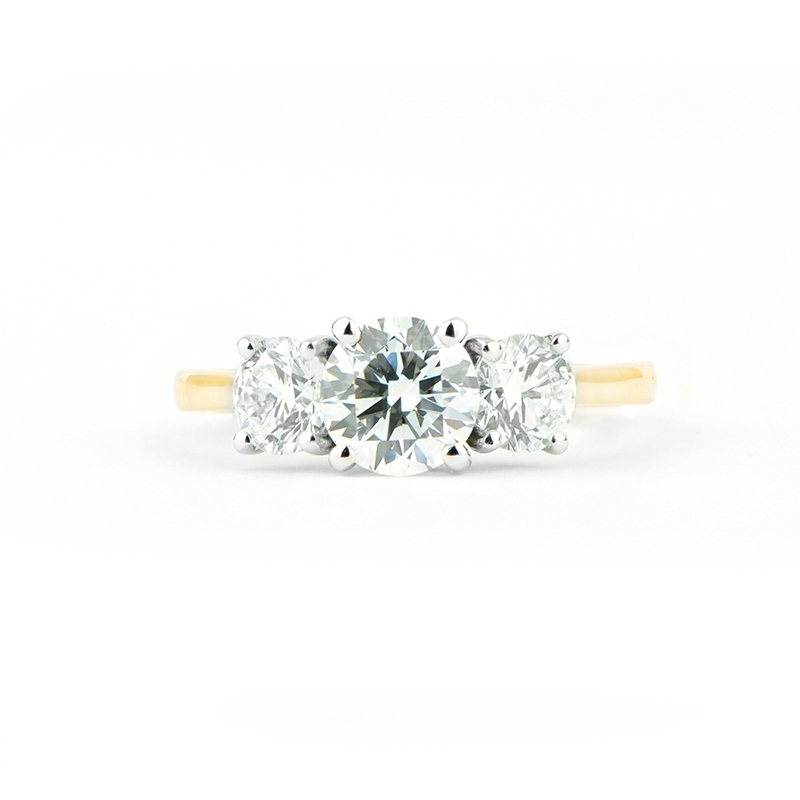 Purchasing an engagement ring is a balancing act and there are always different elements that can be tweaked to fit a design within a budget. "I recall a time when I was sat at my bench on the phone to Kernowcraft as they tried to talk me through how to solder a jump ring! I think that highlights how supportive and passionate the team are about their customers' jewellery journeys and experiences, regardless of the size of any orders being placed..."
Tanzanite! It is so beautiful and so rare but nobody really knows about it! 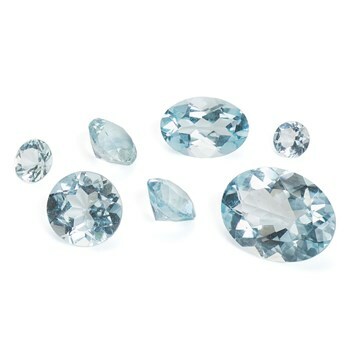 And also aquamarine! What would you say is the best thing about designing a bespoke jewellery piece? It allows you to be truly creative and truly original. Every single time you create a bespoke piece of jewellery you start with a blank piece of paper. The creative journey and evolution of a piece is what gives me the most pleasure. There is also the added bonus that bespoke jewellery is always perfect, as it is made specifically for the customer in line with their brief. What advice would you give someone wanting to start their own jewellery business? My parents always told me that the best restaurants are the ones with short menus, because they do a small number of things very well. If you take this into your jewellery business and do a small number of things very well, it will not only help you focus but also means you can provide a better service than some of the bigger jewellers who are trying to offer many more products. Don’t be afraid to start small and grow from there, depending on what your customers tell you. You will find that particular products are more popular than others, so adjust your business offering to customer demands. Amazon started life as a small book retailer not a global distributor! How has Kernowcraft helped you throughout your jewellery-making journey? I have a real soft spot for the team down in Cornwall because whilst I was making jewellery as a hobby (and even now for the odd Christmas present) they are always so friendly. The small things really do add up. I love having the ability to add special requests to orders, as well as the constant updates for new products which keeps us all creative! For me what stays with me the most in terms of my journey is the advice I was given over the phone as a teenage jeweller. I recall a time when I was sat at my bench on the phone to Kernowcraft as they tried to talk me through how to solder a jump ring! I think that highlights how supportive and passionate the team are about their customers' jewellery journeys and experiences, regardless of the size of any orders being placed. What engagement trends are you predicting for 2018? Surely you can’t answer this question without mentioning the Royal Wedding! 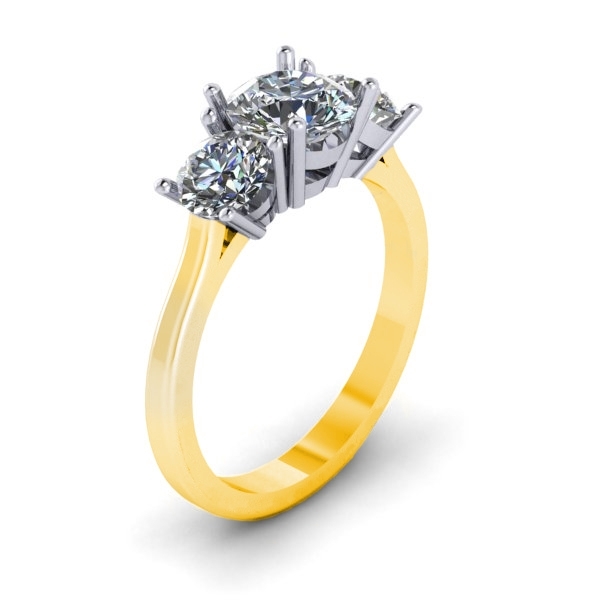 Just as Sapphire rings became popular a couple of years back we have seen a huge uptake in the number of people requesting 3 stone diamond engagement rings. We also believe that, as Prince Harry has demonstrated, there is going to be an increased demand for customers wishing to “create their own ring” using experience rich and high quality services such as Blackacre. 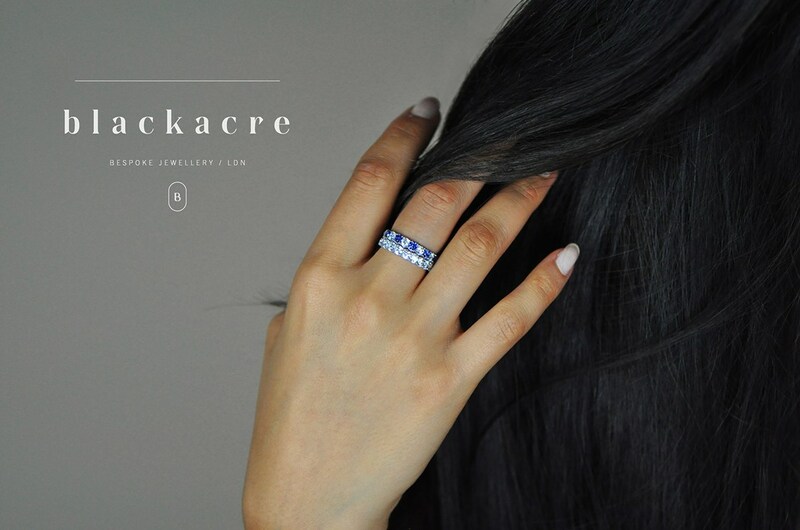 This is driven by the fact that everyone wants to have a story behind their ring, for example, for a recent customer whose fiancée is Australian, we were able to ensure that his ring contained Australian Blue Sapphires. 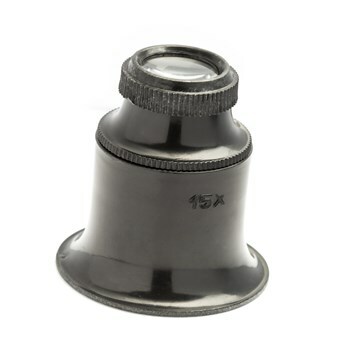 I carry one of these in my pocket every day to assess our stones, but also for the final quality control of our products! I have lost count of the number of these I have purchased, they are the perfect semi precious stone! 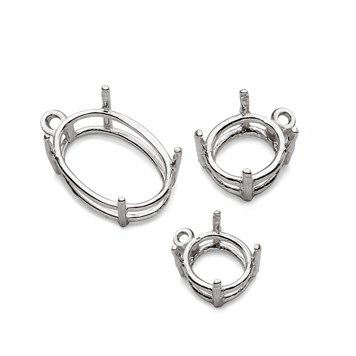 These were a revelation for me in my early jewellery-making days, as thet allow anyone to make pendants that look worthy of being sold in a Bond Street Boutique!